The initial plot idea is something I haven’t read before and that makes it really refreshing to read. Also, it’s what drew me into wanting to read the book. 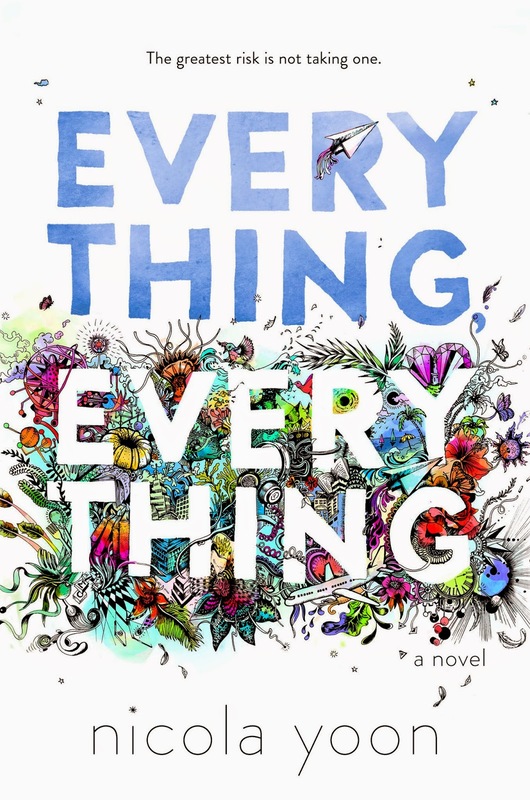 Everything Everything tells the story of Maddie: a seventeen year old with a rare illness which means if she leaves the house she could die. The narrative is from Maddie’s point of view and for the first part of the book, it was a bit weak. I didn’t feel like Maddie was fleshed out enough. This picked up thought when Olly became a more prominent character. The romance is just what you’d expect: it’s heart-warming, wonderful and left me “awwing” my way through the pages. It shows the positive side of social media building friendships as Instant Messaging becomes one of the only ways Maddie and Olly can communicate. It was lovely watching how comfortable they became with each other. The writing was elegant, consistent and beautiful. There are so many lines of this book I want to paint on my walls, but if I did that, it would probably be most of the book. This book is released August/September this year so KEEP AN EYE OUT!